Click here –> for our Venue Descriptions. 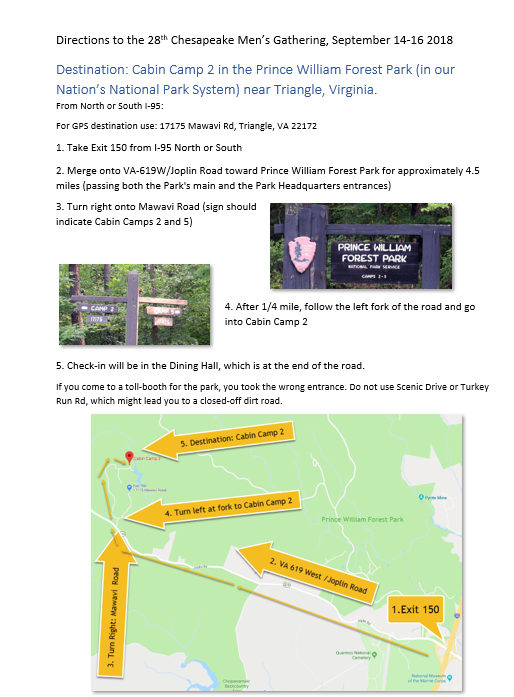 For GPS destination use: 17175 Mawavi Rd, Triangle, VA 22172. 5. 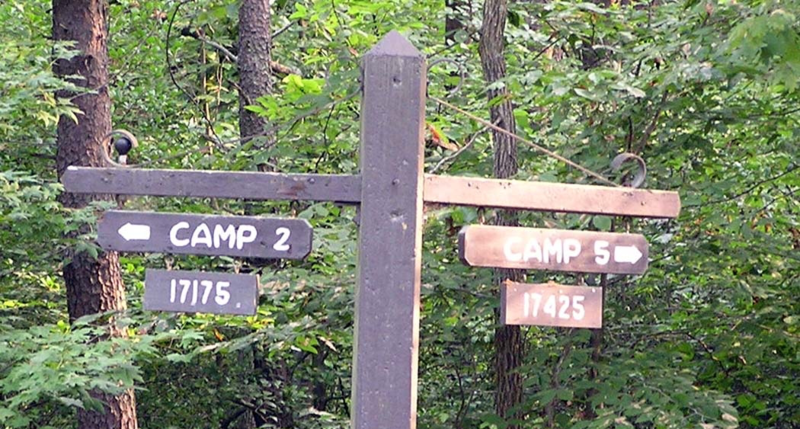 Check-in will be in the Dining Hall, which is on the right at the end of the road. If you come to a toll-booth for the park, you took the wrong entrance. Do not use Scenic Drive or Turkey Run Rd, which might lead you to a closed-off dirt road. Travelers on Interstate 95 experience heavy traffic volumes during the following travel times. Please plan your visit accordingly and listen to local radio stations for traffic updates. 7:00 a.m. – 9:00 a.m. – Northbound I-95, Mon-Fri.
3:00 p.m. – 7:00 p.m. – Southbound I-95, Mon-Fri.
Our 29th Gathering is confirmed for 13, 14 and 15 September 2019. 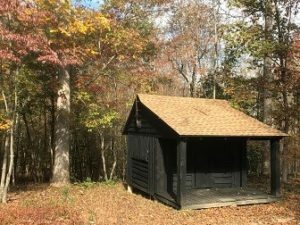 We will Gather at Cabin Camp 2 in the Prince William Forest Park (in our Nation’s National Park system) near Triangle, Virginia. Our venue is convenient to the Greater Washington DC Metropolitan Area.